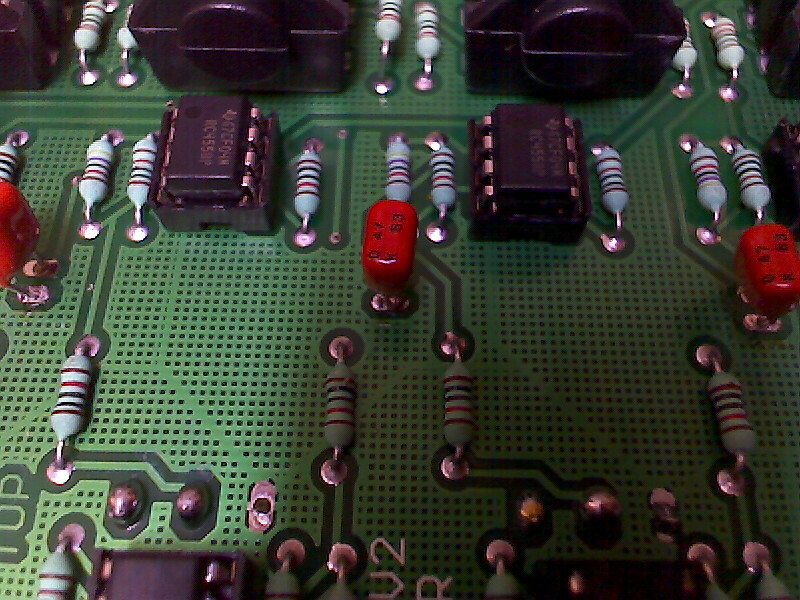 If the floor of a distributor stops working completely, the RC4558 operational amplifier of its channel might need replacement. A first hack proposed by ALIS is to replace a condenser and a resistor on each channel by a single condenser of type MKT 470nF. This indeed already boosts the output volume of the channel, probably because in addition to changing the condenser it also removes the quite big resistor that is originally welded together with the condenser. Since this change occurs before the potentiometer and the split of the channel into two separate outputs, it affects both outputs of a channel. Just after the potentiometer and the split of the channel into two, the mixer uses a RC4558 chip, an dual operational amplifier, on each one of the two outputs of a channel. See RC4558.pdf for more info. The RC4558 is used as a balanced line converter, such as described in http://focus.ti.com/lit/an/slod006b/slod006b.pdf on page 50 and in http://www.fivefish.net/diy/balanced/default.htm. 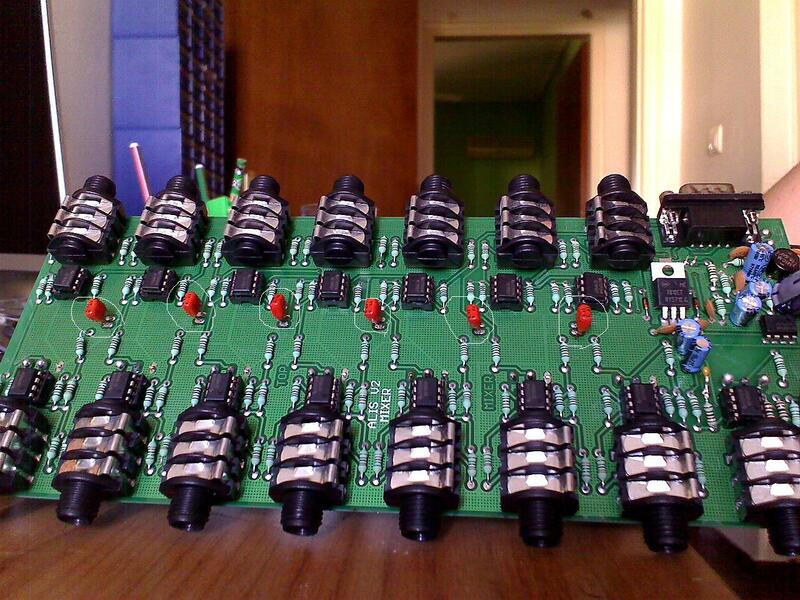 See the schematics of the mixer for a complete design of the circuit: distribuidor.sch. So if we increase the value of Rf, we increase the gain. 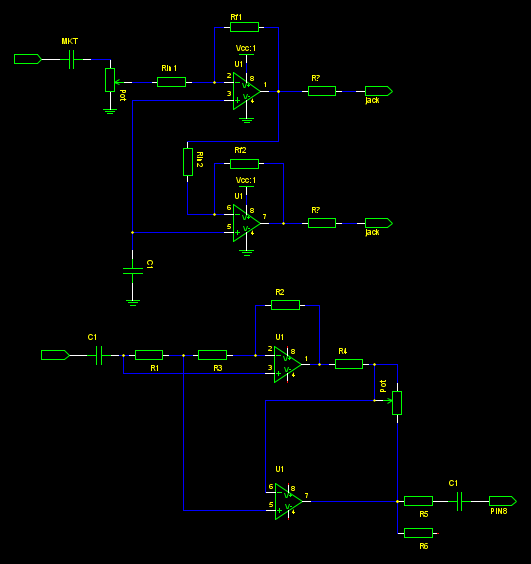 Partial reverse engineering of the amplification system used in the distributor. distributor.xcf, a version of the board for the Gimp which identifies most of the components.